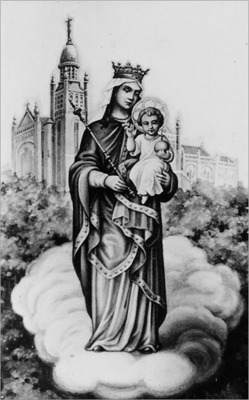 Holy Card image of Sheshan Basilica and Our Lady from the Collection of Cardinal Gong Pinmei. Sheshan, China; Original Collection: Collection of Cardinal Gong Pinmei. Photo of an original card.